Are you a fan of DC’s Legends of Tomorrow? Recently, star Caity Lotz posted a photo from the set of the CW series’ fourth season. The DC Comics show follows a group of superheroes as they travel through time to save humanity. 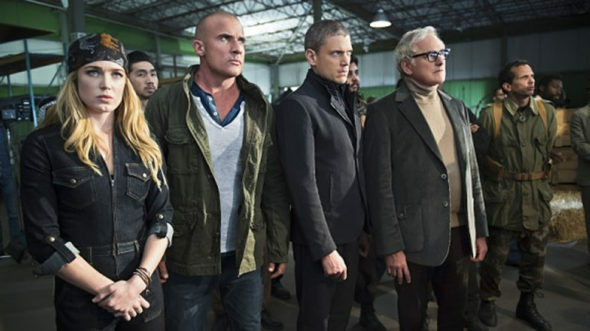 The cast includes Lotz, Victor Garber, Brandon Routh, Franz Drameh, Arthur Darvill, Amy Pemberton, Dominic Purcell, Wentworth Miller, Maisie Richardson-Sellers, Nick Zano, Tala Ashe, and Neal McDonough. On Instagram, Caity Lotz posted a behind-the-scenes photo from season four of DC’s Legends of Tomorrow. The new season is set to debut on The CW on October 22nd at 9 p.m. ET/PT. What do you think? Do you watch DC’s Legends of Tomorrow? Are you looking forward to season four? Hooray! Another season of SJW’s of Tomorrow! So looking forward to not watching it. I can’t wait for Season 4. I do wish they would bring Snark back; when he came back as a different character last season was pretty cool. Plus, are they bringing back the Professor? How about Jacks? There were too many characters being taking off.